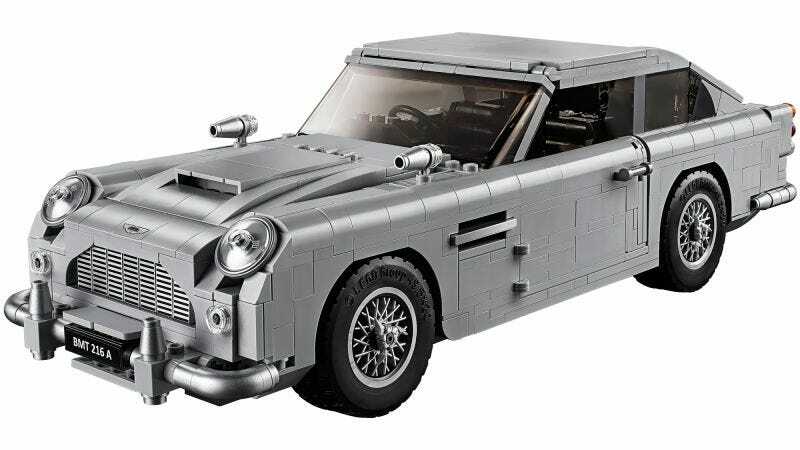 Lego just officially unveiled its officially licensed kit of the James Bond Aston Martin DB5, complete with ejector seat, radio tracker and the works. When I first saw the kit leaked a couple of weeks ago, even I, a massive Bond fan, was disappointed. But it left me with one question. I grew up building with Legos, and not just kits. I am proud to say I built an entire airport city from a variety of kits I had collected over time, with my own helicopter, plane and car designs. I was obsessed. Around this time, I also became obsessed with the James Bond franchise. So fast forward a few years and I have zero interest in what should be one of the most accurate product representations of my childhood. It definitely has something to do with how ugly the DB5 looks in Lego form, at least in this kit. The Lego Porsche 911 wasn’t so hot, either. It also has to do with me bankrolling an expensive photography habit and not being able to justify lego kits, and also not already having a collection of Lego cars to add to. I suppose if I started a long time ago I would be more likely to keep buying them. But if you’re like me and have yet to plunge into Lego car kits, what would it take for you to do it? What car is worth having on your shelf in Lego form? Which cars are best suited to be turned into Lego?